VISIT POPSUGARPlayGround.com to learn more. Follow @POPSUGAR and #POPSUGARPlayGround for more updates and surprises! Tickets purchased before May 13, 2019 at 11:59 p.m. EDT will be mailed. Tickets will not begin mailing until the end of May 2019. Shipping address cannot be changed after May 5 2019. If you purchased your ticket(s) after May 13, 2019, at 11:59 p.m. EDT, please bring your confirmation to Will Call counters at Pier 92/94 (711 12th Ave, New York, NY 10019) to pick up your official wristband. Wristband activation is required. Please note: All merchandise purchased in registration will ship separately from your ticket purchase. Items are typically shipped 1-2 weeks prior to the event unless otherwise noted. International merchandise orders will not be shipped out and will be assigned for onsite pick up. Instructions for onsite pick up will be sent out via email prior to the show. 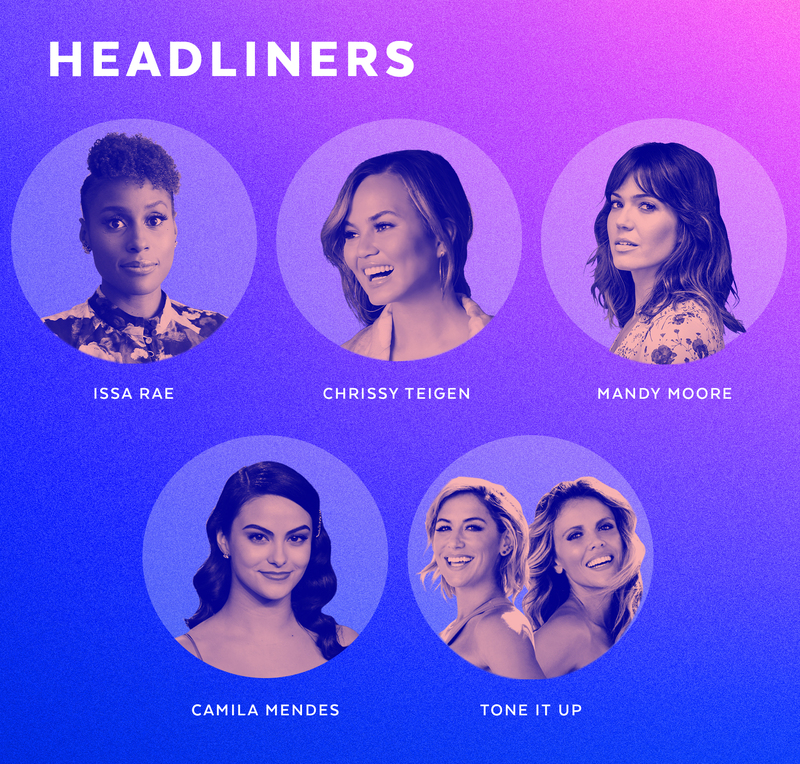 All attendees older than 6 need a ticket for POPSUGAR Play/Ground. POPSUGAR Play/Ground has a ZERO TOLERANCE POLICY for harassment of any kind. If a person engages in harassing behavior, POPSUGAR Play/Ground Staff will take prompt action in any form they deem appropriate, including expulsion from POPSUGAR Play/Ground with no refund. Our policy applies to EVERYONE at the event. Exhibitors, Fans (Attendees), Speakers, Guests, Professionals, Press, Staff, Volunteers, and Security are all subject to our Anti-Harassment Policy. PLEASE NOTE: Any and all scalpers that are identified will have their order(s) cancelled and ticket(s) voided. POPSUGAR Play/Ground tickets are non-refundable, non-transferable, non-upgradeable and non-resellable.